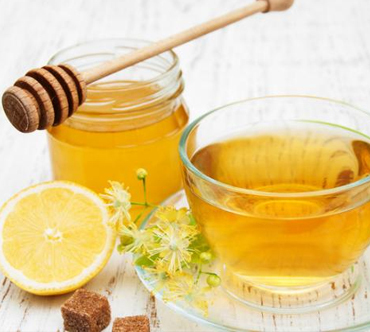 Honey and Lemon Green Tea Green tea, one of the world's most widely consumed beverages, is a delicious source of antioxidants and other phytonutrients. With lemon and honey, a classic blending of complementary flavors, green tea can be a soothing hot beverage or energizing iced refreshment. The combination also offers several health benefits including acting as a remedy for treating colds. Essential oils in lemon offer antimicrobial benefits. The brew also benefits the heart, aids in weight control, fights bad breath and is also good for bone, skin and hair health.